You are here: Home / Nutrition / Think Greens, Not Grains! We see more and more people who have developed grain sensitivities, with wheat being the most frequent offender. Grains have become dominant in our diets! breads, rolls, cakes, bagels, cookies, pizza, snack foods, cereal and more make up a large part of our meals. We eat these things, in various forms, with such frequency that many of us have developed hidden sensitivities to grains. The truth is we eat way too many grains. In these and similar cases we tell our patients to eat GREENS instead of GRAINS. The fact is most vegetables contain more fiber than 2 pieces of whole wheat bread and far more nutrition. 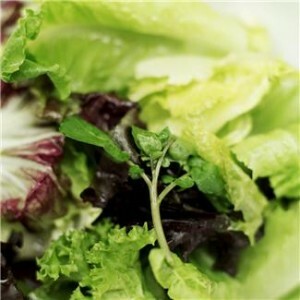 If you can’t live without your lunch time sandwich, try substituting leaf lettuce for your bread. It works great!